Featured profile created by Tigerprint. Placement specialising in print design and fashion illustration. 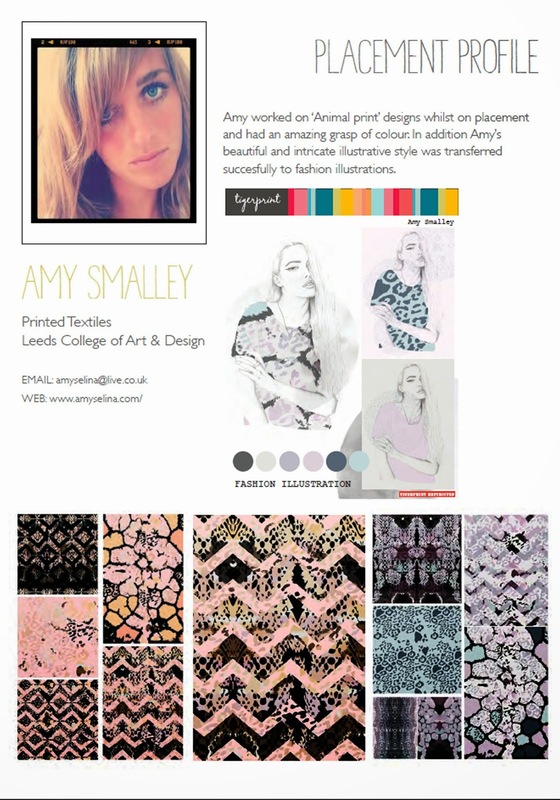 Amy has interned for Playful Promises creating trend led digital prints for lingerie and swimwear. Design and Production Internship for Playful Promises. Print Design for the 'Etti Set'. All images are Copyright AMYSELINA © 2012 and may not be used or reproduced without permission und. Awesome Inc. theme. Powered by Blogger.